Lately, I've been testing out a bunch of budget-friendly self-tanning brands to recommend trying this Summer, and Sunkissed have been one of the first that I've tried out. 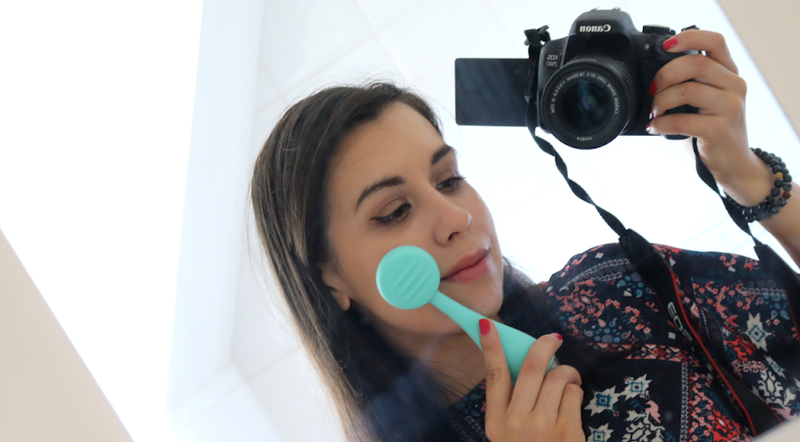 I hadn't heard of Sunkissed until an email popped into my inbox last month, but I've been wanting to try out some more affordable self-tanners for a while now. My favourite go-to tanning brands are either high-end (Vita Liberata, He-Shi, St. Tropez etc) or mid-market (Bondi Sands), so finding a fake tan that costs less than a tenner a bottle seemed too good to be true! Their products are also paraben and alcohol-free, so when these two products from Sunkissed arrived, I decided to hop straight into the bathroom to try them out. Just a heads up for all my budget beauty readers: these two products below are from Sunkissed's Bronze Professional range, but if you're on a really strict beauty budget, they also have an even cheaper range that's simply called Sunkissed which you may want to look into as they have prices starting from just £3.99. I haven't tried anything from the other range myself, but there are some positive reviews on the Superdrug website so by all means, check those out first if you're watching the pennies at the moment. If you're new to self-tanning, I'd highly recommend opting for a mousse formula because they are, in my opinion, the easiest formula to apply and this one is great for beginners to try out. Designed to be a quick and convenient 'once-a-week' tan that lasts for up to 7 days, the mousse glides onto the skin and was easy to buff in with a tanning mitt. It dried quickly without any sticky or tacky feeling, and the tinted brown guideline colour ensured that I didn't miss any areas. There's a light coconut scent, but you do still get a little whiff of that biscuity fake tan smell with it, though it soon disappeared when I rinsed it off. You can leave the tan to develop for 1-4 hours - for review purposes, I've tried it for one hour (which gave me just a very light tan) and the full four hours (for a much more medium bronzed tan) - both ways gave me a lovely even and streak free finish. This self-tan mousse contains a trademarked VitaTone complex which helps to give the appearance of smoother and more toned skin, and I must admit that I did notice that my skin looked a bit more toned than usual which I'm guessing is down to the VitaTone complex having some kind of clever blurring technology in the formula. Anything that makes me look slightly more toned gets a thumbs up from me, and I loved the natural looking tan colour. It lasted around 4-5 days before it started to go patchy, so not quite the 7 days but for a fake tan that costs less than a tenner, I have to say I'm really impressed with it. I'd definitely repurchase this in the future! As tanning can be an incredibly drying process on the skin, I'm all for trying out anything that says 'moisturiser' in the title, and this one's infused with Argan Oil to offer some extra hydration. 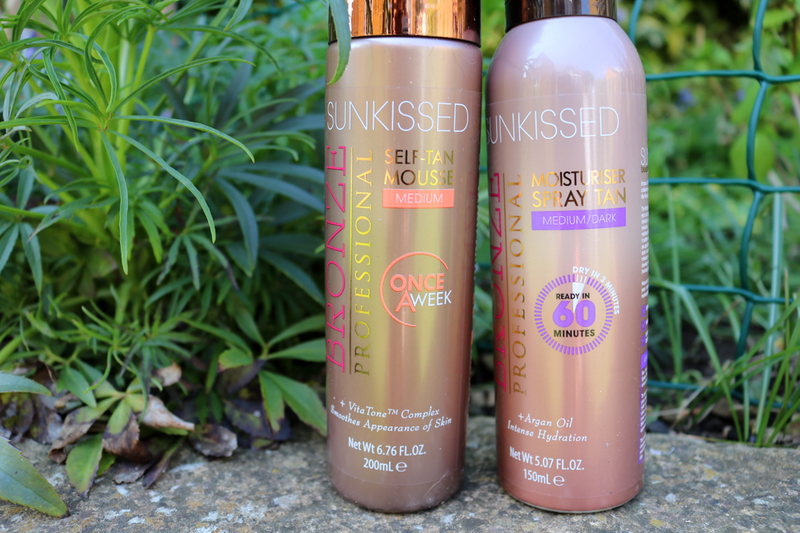 Sunkissed's Bronze Professional Moisturiser Spray tan also promises to be 100% transfer and stain-resistant and I'm happy to report that this didn't leave any mess on my bedsheets or clothes (though the mousse above didn't either). After I'd exfoliated and done all of my tanning prep, I spritzed this all over and buffed it in with a tanning mitt as instructed. It does go on clear so it was very difficult to check if I'd missed any areas. The spray dried very quickly in around 3 minutes, but it took longer than the hour stated to develop - it took around 3-4 hours instead to get a good level of colour. I rinsed it off and immediately saw several streaks which was incredibly disappointing. I've tried it a few times since which gave me much better results, and I'd strongly recommend applying two layers to make sure that you've got everywhere covered as it's so easy to miss a spot with the formula being clear. 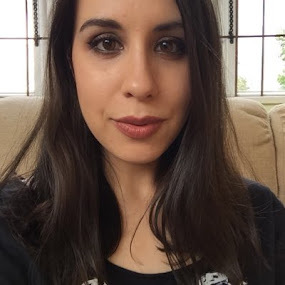 Although I liked the natural tan colour and that it lasted for 4-5 days before starting to fade, I think I'll be sticking with the mousse in the future because it's just easier to use and always gives me a streak-free finish. 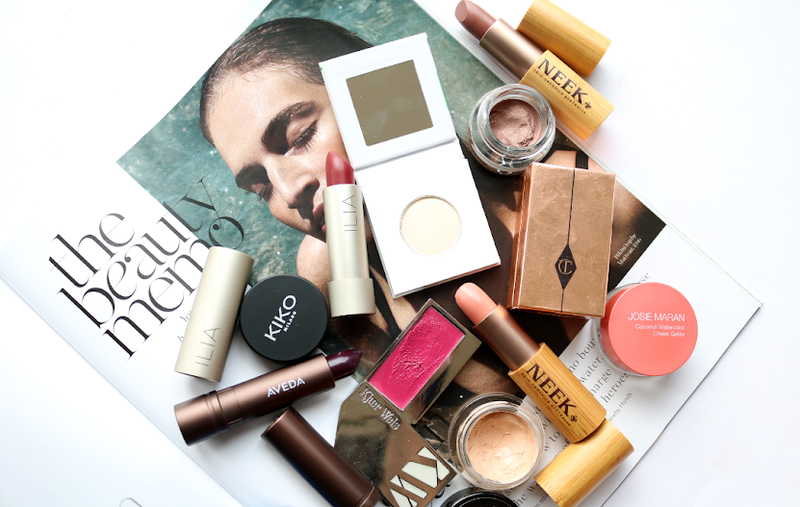 What's your favourite budget fake tan?